When it comes to organizing your home, that can mean the mess and clutter in your living room, kitchen, etc., but also organizing your family and the events that take place. What you require for your home organization are some effective storage solutions. For the family and event planning, the dry erase board DIY and the family binder are invaluable. 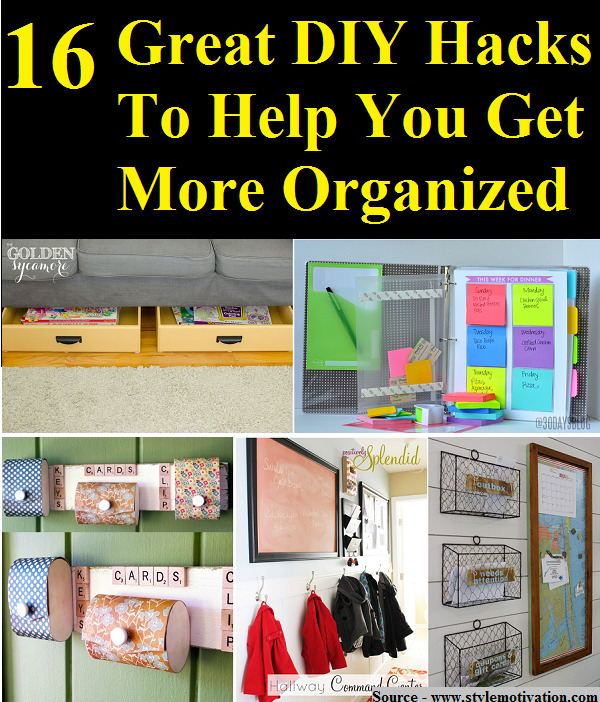 Thanks to stylemotivation.com for these great hacks to get you organized. Follow the link below to learn more.